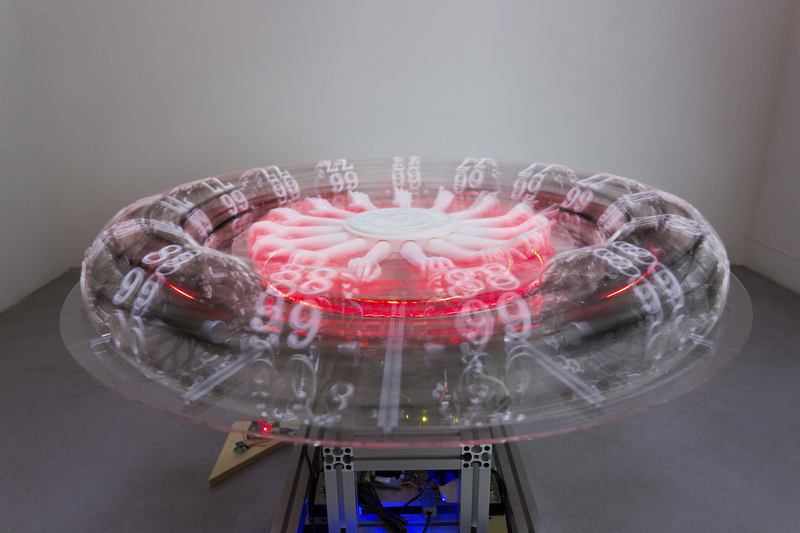 Time Machine is a work constructed on the principles of zoetropes. Through the use of a 200 w motor to control speed and rotation, in combination with a pulsating strobe light, the artists create the optical illusion that 15 separate frames of an animation are actually connected. A small step motor added to the work references a number wheel, which spins separately from the animation, so that that the viewer understands the work as being about expanded time.